Non-toxic, fast-drying, permanent all-purpose acrylic paint in bright opaque colors. For use on canvas, wood, paper, plastic, and more! Eight popular colors to choose from: Red, Orange, Yellow, Green, Blue, Brown, White, and Black. Shake well before use. Comes in 32-oz singles. 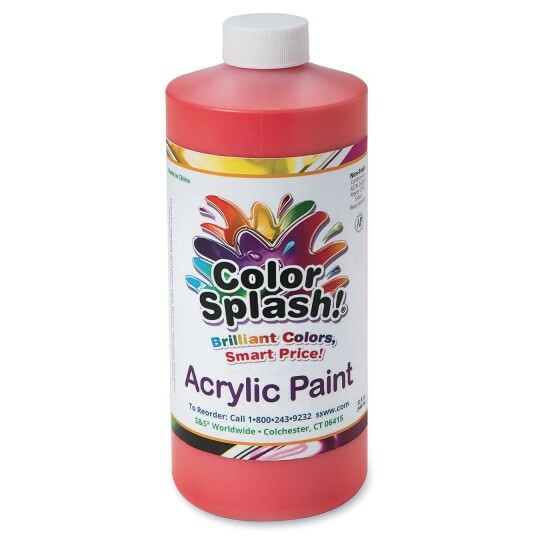 WE have been using these paints for our summer camp for years now and we just love the variety of colors and the quality!! I would purchase item again. Good easy to use. My daughter uses the paint when she paints on her canvas.